Cycle Chic®: Rain and Six-Inch Heels. Problem? Rain and Six-Inch Heels. Problem? As a true Cycle Chic photographer/blogger, one must learn the art of cycling whilst taking half-decent photographs. I can tell you it was not easy! 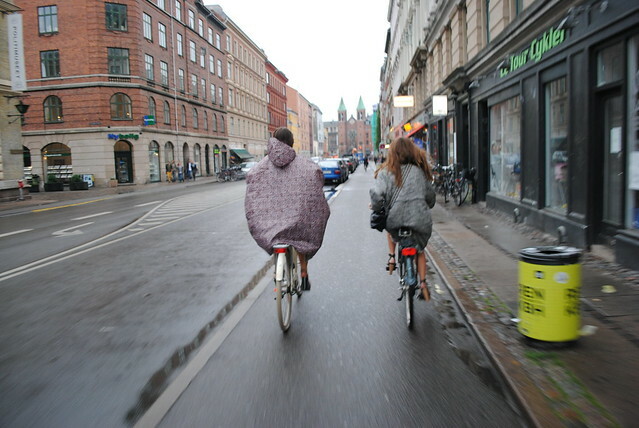 But when two young Copenhageners rode past in six inch heels in the heavy rain - I simply had to whip out the camera and take some snaps from behind. Not creepy at all. Question is, could you manage the art of cycling sky high? 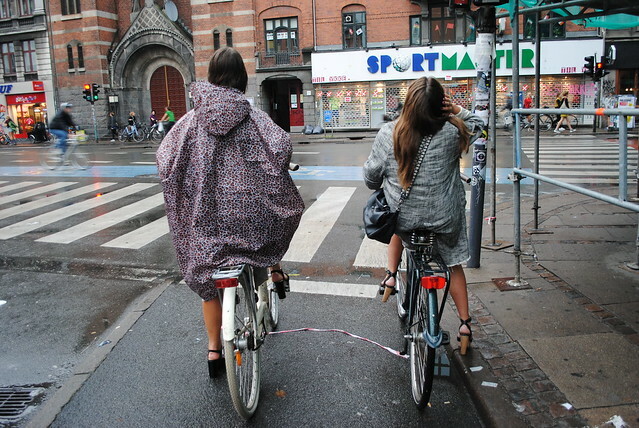 Love, love, love the oversized leopard-print raincoat. Heels and rain? Bring it on. Before I out it, I just want to put it out there that I'm totally just talkin' the talk but not cyclin' th-...no forget it. 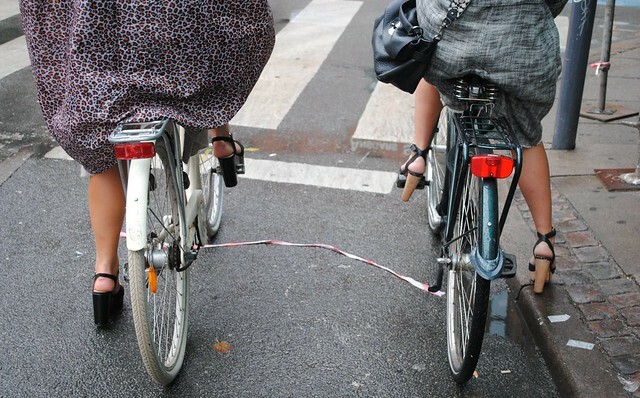 I personally cannot cycle in even four-inch heels. I have tried and failed. I mean, what's another few inches to the long-legged Danes anyway - they've had years to practice, right? That is my defence. I definitely bike in heels. I've even biked in heels in the rain. But I don't think I've ever biked in heels in the rain while taking pictures of other people riding bikes in heels in the rain. We all have our limits.